Free HTML landing page templates are some essential tools for creating a welcome page where people will get information about your upcoming products. Also, they can register with their emails to get updates. Landing pages are for actions because people have to make a decision here. 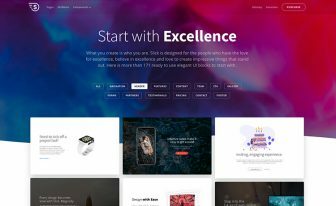 In this carefully made list of Bootstrap-based free HTML landing page templates, you’ll find some of the marvelous, awe-inspiring, and creative products. Because of the expansion of modern web technology these themes make your development process faster, more comfortable, and utmost beneficial. As you know selling and user engagements depend too much on landing pages alone, you should select only the best grade templates. Therefore, this curated list will help the users who wish to build a polished, compelling, and mobile-optimized website with less effort. A limitless number of resources are available online to produce excellent websites. We have amassed only the best free HTML landing page templates. Start reading and enjoy the awesomeness. 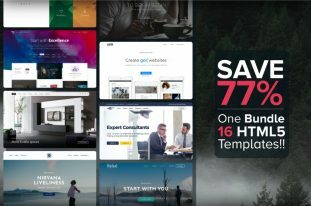 Here’s Titan, a high-end, multipurpose, free website template with multiple demos and hundreds of HTML files. It’s built for the people who love adventures because Titan brings a lot of amusement inside it. 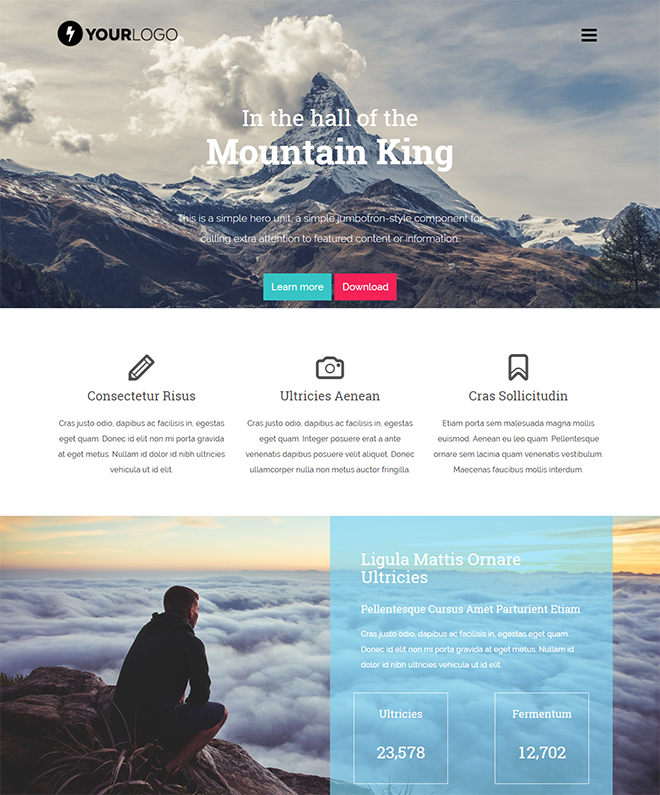 With this free HTML template, one can build their dream website with a myriad of ready components. The landing demo is so brilliant that you can choose it for your next promotion. 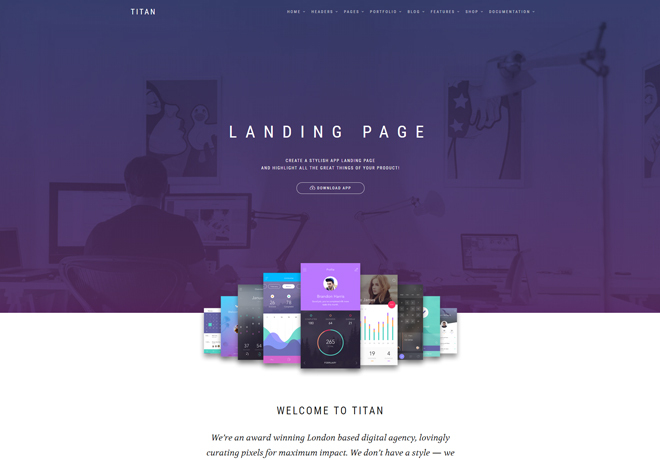 In the world of free HTML landing page templates, Titan is a truly brilliant one. Let’s download the template and build whatever you want. New Age is a highly admirable, truly advanced, perfectly responsive, one of the best free HTML landing page templates. This template is a seamless choice for robust business, a promotional tool, and bona fide site building. 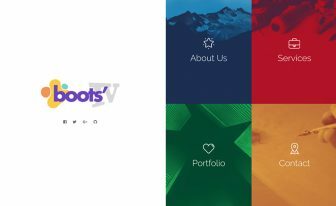 Bootstrap landing page templates offer responsive websites for the users to make the sites appear on every device on the earth. As it’s an app landing page, one can get help from it to display web app and other products as well. Featured with bold typography, fresh design, multiple colorful sections, and easy customization make the template best suit for everyone. A well-designed and highly functional template can pave your way to success in a great aspect. When we see free HTML landing page templates, we scrutinize their functionality and reliability too. Therefore, a template like Creative makes a big entrance in the line up free Bootstrap landing pages. 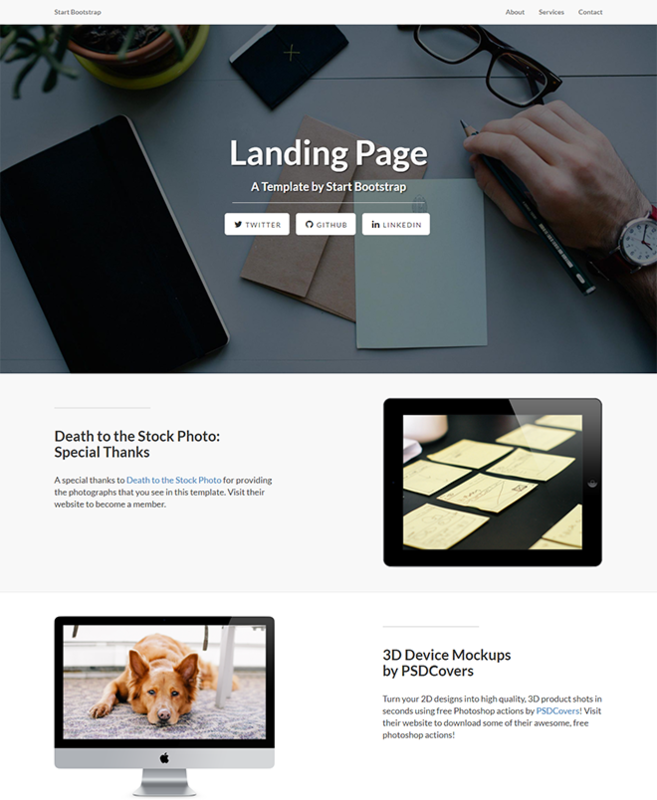 It’s a one page template for creating landing sites and product showcasing. This feature-rich theme can boost your growth if you feel need a multiverse and strong template. MobApp is a free Bootstrap 4 landing page template with a vivid color scheme. For making landing pages for mobile or desktop apps, this an awesome choice. At the beginning, the header section is the most significant part which contains text and screenshots although you can organize that in your way. Every section is designed to add more features, media, and more. Sticky navigation, hover effects, CTAs, smooth scrolling, and more charming opportunities are available with the template. 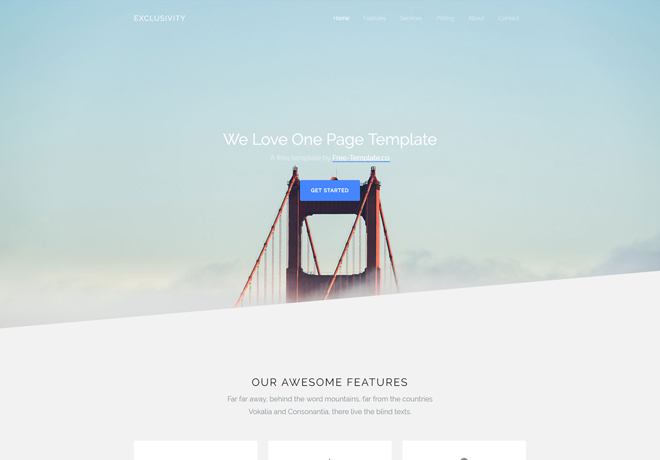 It’s one of the best free HTML landing page templates. Free HTML landing page templates make every one beneficial who are needing to create websites for launching new products and initiating promotion. 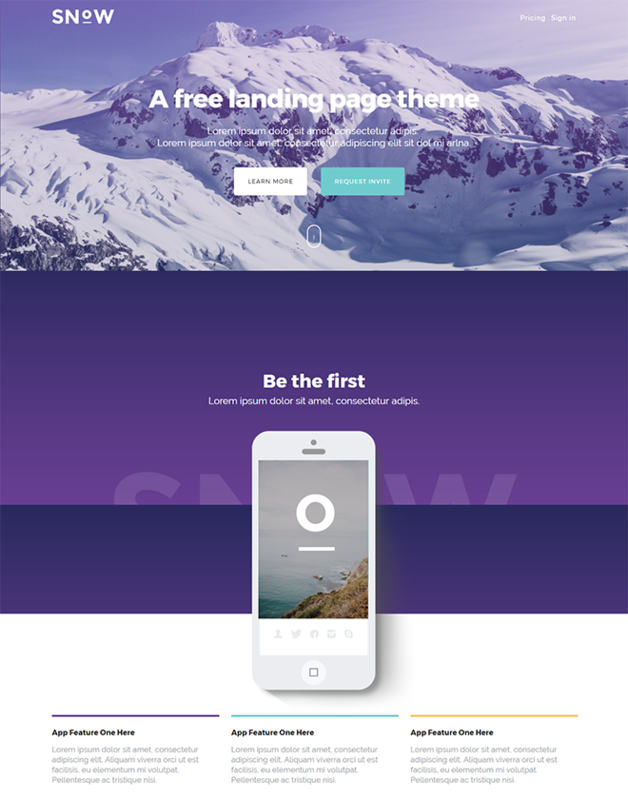 Amid many Bootstrap landing pages, Snow is beautiful, highly flexible, mobile-friendly, fresh-faced, and all-rounder template for webmasters. It’s UI-focused, parallax optimized, well-documented, totally engaging, and a sheerly efficient template. Use it for creating sites with multiple options, compelling contents, alluring design, and natural attractions. Small Apps is an astounding, sensational, vigorous, aesthetic, and responsive free landing page template. Constructed with Bootstrap 3 and HTMl5, the template gives you an incomparable opportunity for making landing sites without much effort. If the codes are clean and well-organized then search engines will favor it that results in a rank on the top. With Small Apps, your site will be SEO-friendly as well as mobile responsive. Since the design is Bootstrap-made, it will naturally adapt to both larger and smaller screens. One of the striking features of free HTML landing page templates is all of them are amazingly functional. Especially, the list you’re reading on is full of massively efficient, eminently multi-verse, entirely mobile adaptive, and of course, utterly malleable. There was a time when people are less-aware about technology because of the limitation in the tech-world. Today human beings are enjoying their so far best time due to the modern invention and discovery. Free website templates for landing pages are some superb options to create website with no hassle. Exclusivity has a simple layout and powerful options for pro users. With sticky navigation, hero header, counters, Google Maps, and other first-class features are there to organize your website easily. 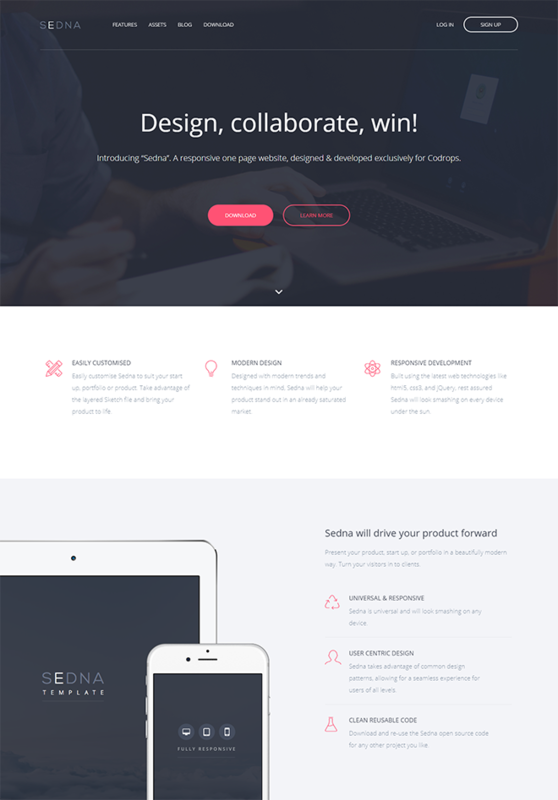 For those reasons, it’s one of the best free HTML landing page templates. Moreover, you can complete a lot more with the integrated jQuery plugins. Also, it’s very easy to use especially for the people with no coding background. Blue App is a hefty, prominent, spectacular, outstanding, practical, and massively useful free landing page template based on HTML5, CSS3, and Bootstrap 3. This template is a brilliant creation with the main focus on the user-attracting design, and cool layout to drawing the attention of the visitors. 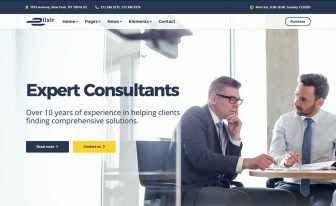 Not all the free HTML landing page templates are satisfying to use and to present your identity. Only a few can meet your demand with pleasure. Blue App is undoubtedly a wonderful incorporation among free Bootstrap landing page templates. People have to undergo the path for exploring the best-suit templates that help them make their websites unbeatable and extraordinary. As you get overwhelmed in the ocean of free HTML landing page templates and looking for a ray of hope we created the list. The eye-pleasing design, fluid responsive layout, engaging color scheme, and minimal vibe of Notes leave every user satisfied. For product launching and showcase page, use the template to harvest email addresses and know about your enthusiast audience. Avilon is clean, feature-rich, and appropriately built to build a landing page for all. 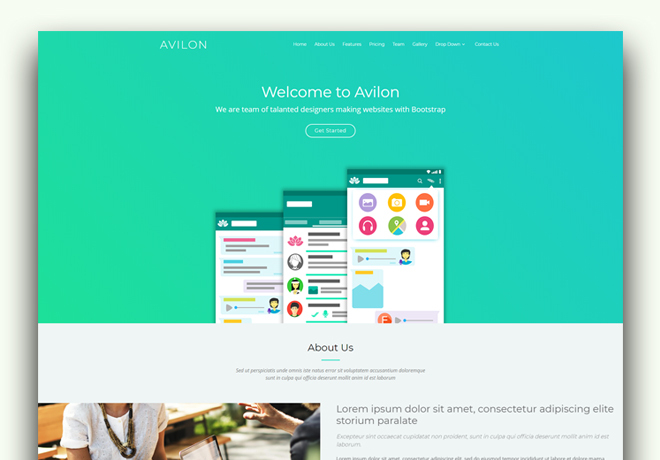 In the list of free HTML landing page templates, Avilon makes its stance with strength and power. With the flawless design and powerful options, a developer or non-developer can comfortably build a website for their promotion. Made with Bootstrap 4, Avilon is ready to take your business to the next level. Also, users can get benefits from Font Awesome icons. Not to mention that it incorporates Google Fonts and gradients effect. Lucy has all the top-quality features that help the users right under the way they surpass while being creative and imaginative. It’s also scintillating, astonishing, fast-paced, user-friendly, remarkable, and avant-grade. Not only this theme has a clean and simplistic design but it shows a real easy way to create sites as users desire also. 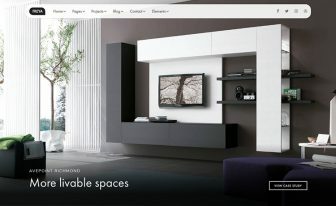 Implementing the concurrent design rules this site template is an exemplary embodiment free HTML landing page templates. To convince your audience to download or buy the service/product you offer is surely the crucial objective of a landing page. The formation of this blog about free HTML landing page templates is to ensure you do the things right. As it seems entrepreneurs who wish to reach the pinnacle of success may hardly want to waste their time on finding the right template. No way to ignore the importance of choosing the perfect theme because you’re going to lose your potential customers without it. Even sometimes we get exhausted to find the beautiful as well as yielding template so that users don’t have to face any complexity in the endeavor of making landing sites. Here we have compiled some of the top-grade and responsive free HTML landing page templates only for your convenience. Online advertising is totally different from the real world. Here you need to present your content so that users tend to click on the actionable buttons. Not to mention that an exclusive template like App Landing can do that job most appropriate way. 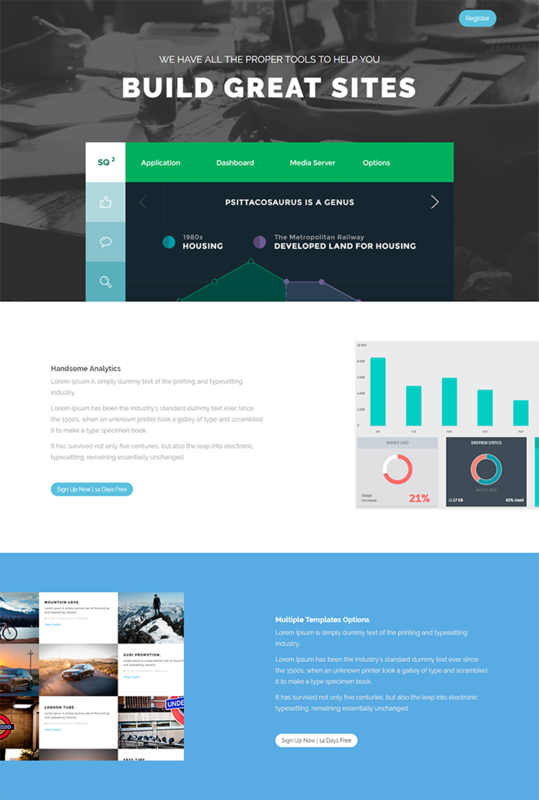 Landing Zero is a high-class, mesmerizing, impressively-built, amazingly mobile adaptive, and free to download landing page template. It has a full-width video background, mobile-optimized layout, easy customizing facility, email subscription form, and well-polished design. With this Bootstrap-based template, webmasters can build a niche-specific landing page for making more customers engaged with your products. Without spending much time and any money, Landing Zero helps your effort make easy and convenient. The fresh design coupled with the Bootstrap framework, this template is a big addition in free HTML landing page templates. You probably faced many troubles to find free HTML landing page templates that match your idea and need both. But thousands of free templates may obfuscate you and block your sense to differ the good from the bad. The endeavor was never easier. Rest assured. It’s our sole job to aid you so that you can make an impressive move to keep a place in people’s mind. Take AKAD as an example of sophistication and excellence. 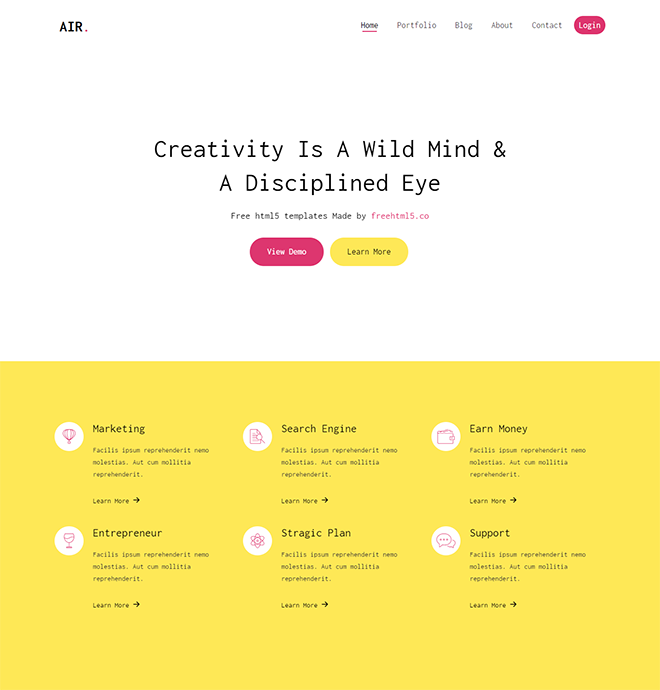 It’s a well-crafted web template that draws the way easy to follow for every passionate folk. Additionally, it has modern features for doing more works with less effort. Before trying Backyard for creating a landing page, you really don’t know how a highly-functional web template looks like. And how it works when you have no prior deep coding knowledge. 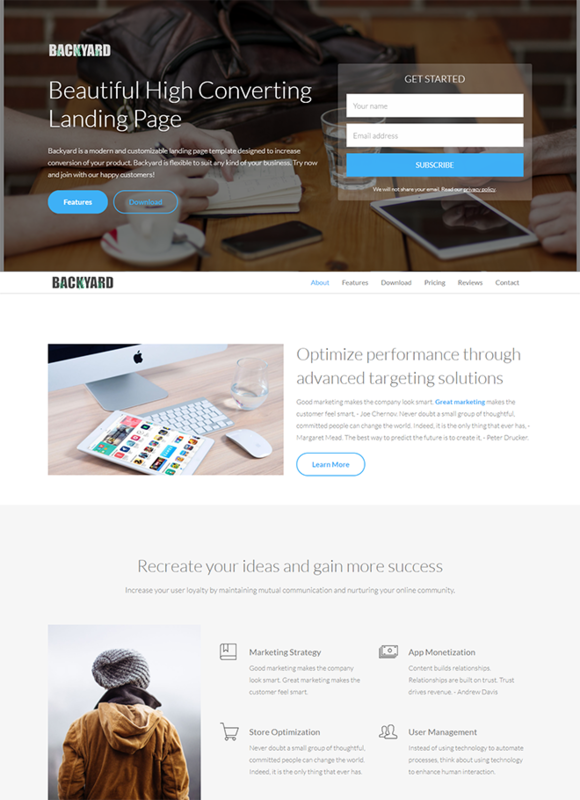 This powerful landing page template made the site building easier and more comfortable. As you know it’s equally important to keep the site well-adaptive on different screen sizes. However, Backyard was built on all latest web technologies and hence you can offer more functionality for your users. Color variations, multiple header styles, clean markup, parallax optimization, and responsiveness, all are for an impressive and eye-catchy website. In a row of free HTML landing page templates, Egret is an unbeatable and incomparable inclusion, no doubt about it. After reviewing many templates with several meticulous criteria, we decided these final items. You have no time to waste on garbage, after all. And we value your effort to work comfortably. For product landing pages, Egret is an admirable one that can ease your pain and make you free from obfuscations. Check out this mind blowing template and start building landing pages instantly. 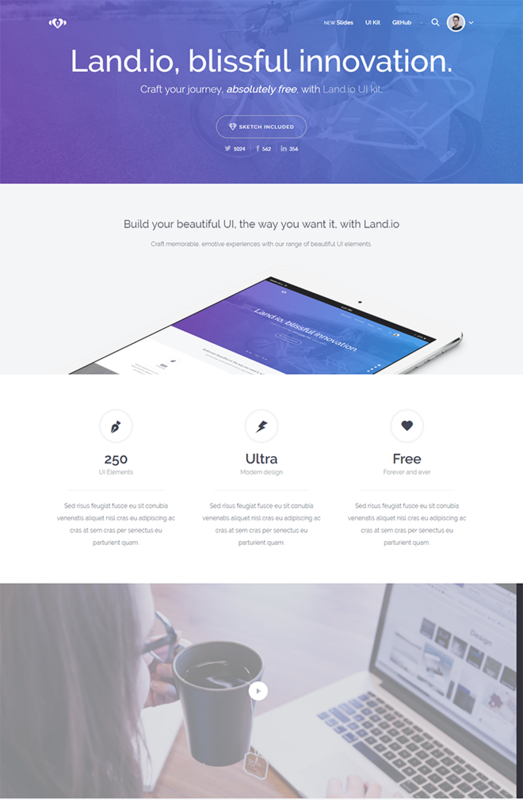 Land.io is a superb composition out of free HTML landing page templates. A template made with careful and sincere effort can fulfill user’s demand completely. The performance and functionality are so amazing that you must love it and thus visitors will also get satisfied while they visit your site. Many features including Bootstrap 4, HTMl5, Saas, video section, YouTube embedding, and the well-commented code will let you go an extra mile. 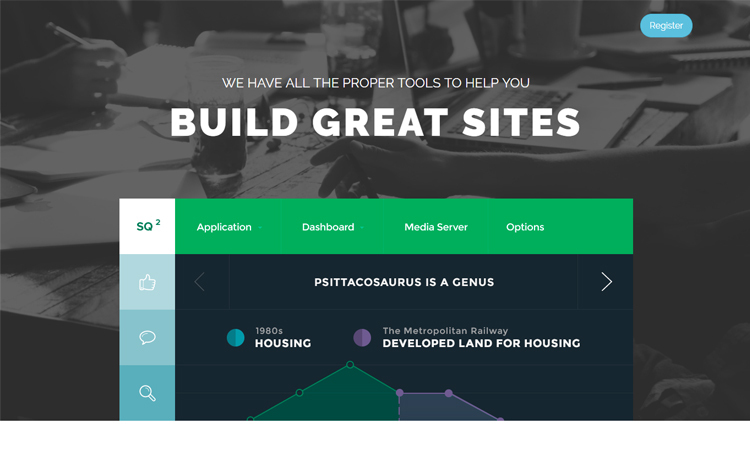 However, for free Bootstrap landing page download, get Land.io. 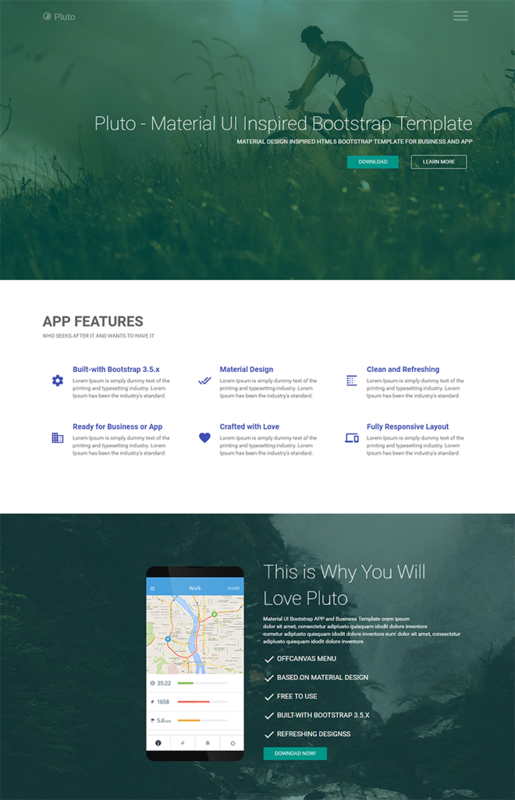 Pluto is a creatively designed, wonderfully responsive, truly functional, amazingly malleable, and not to mention, totally free landing page template. Also, this template terribly works on multiple devices regardless of their platforms and screen sizes. Amidst free HTML landing page templates, Pluto is the right tool to demonstrate your vision through a landing page. Of course, it’s available free and anybody can use as it’s not complicated at all. 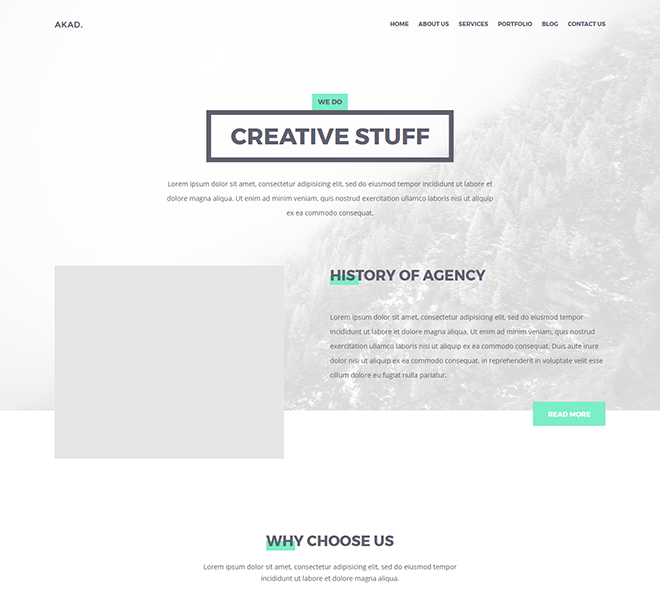 CreativeZone is a terrific site template for a digital agency, art studio, startup, design firm, and business site. To build landing page templates, it will greatly support your effort while you want to draw your imagination on real canvas. The contemporary design trends and beautiful layouts are there to make your struggle painless and comfortable. Put your true focus on the business idea and make them highlighted with a real gem like CreativeZone. You will surely accomplish the project with no complication and more benefits. Because Air is robust, astounding, charming, and elegant we added this to the list of free HTML landing page templates. It’s a high-quality and superior template, indeed. If you haven’t found the right design then Air is there for your ultimate necessity. A fully responsive layout and functionally efficient Bootstrap theme can escalate the productivity right under the hood. Furthermore, Air incorporates the features that are limited on other free landing pages. Were you able to construct a landing page without complication before? If not please try Mountain King. We can assure your unflinching experience, at least. In fact, it is a prominent insertion amongst free HTML landing page templates. Even in your wild imagination, you can’t enjoy this much freedom that Mountain King provides. It’s a precise choice for passionate webmasters who love flexibility while they’re on the ride. Minimal design, free vector icons, off-canvas menu, beautiful layout – everything’s there, just for you. 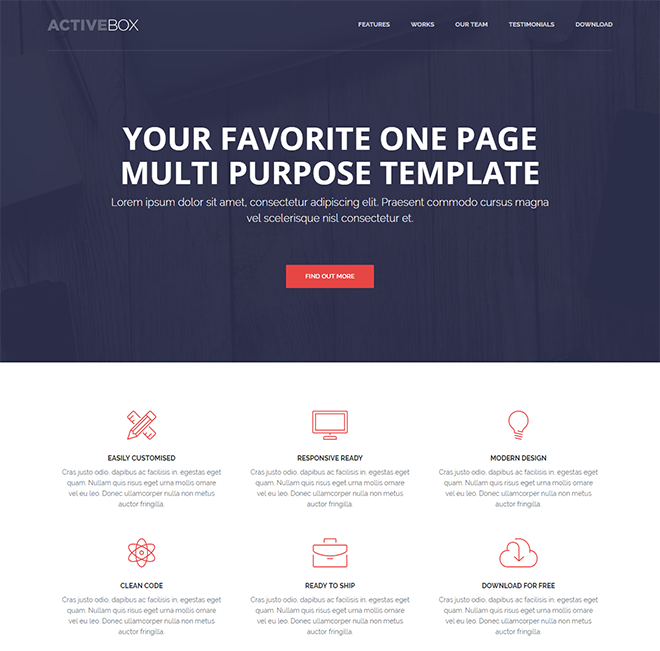 If you’re looking for a template that’s clean yet sturdy, minimal yet enticing, then you should look nowhere else than ActiveBox. Moreover, for better usability and true functionality, choose this theme with no doubt in mind. Above all, free HTML landing page templates have some great features that make the users even more powerful to build effective websites. Sedna is an awesomely built, responsive free HTML5 one page template that gives you enormous flexibility towards sites creation. This carefully created list of free HTML landing page templates has accumulated some great products. Not only that Sedna is a free template but it’s easy-to-edit also. Sedna will give you features that are generally not found in free items. 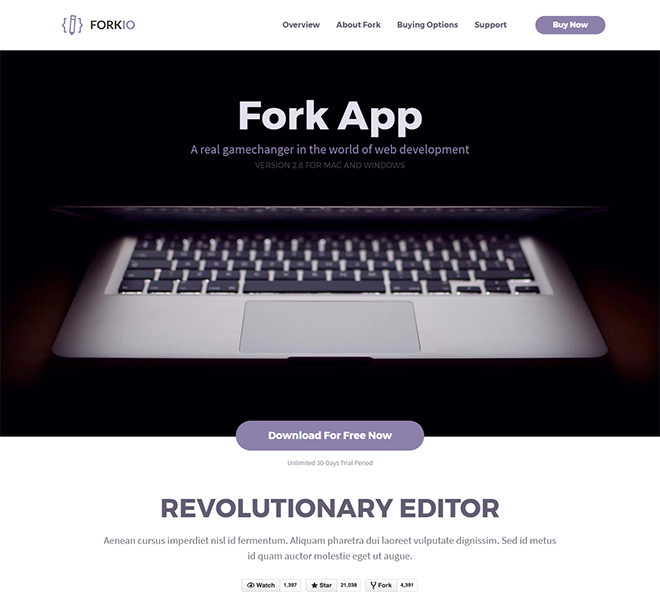 For high-grade quality, Forkio makes its bold stance amidst free HTML landing page templates. We’re happy to share a stunning, eye-catchy, and mind-soothing template with you. It’s a one-page template that comes with so many compelling features that will make your sites unforgettable to your visitors. And, Forkio is adjustable to any project regardless of their size or type. Free HTML landing page templates will alleviate your torment of being fast and efficient while creating websites. Use this list for getting all the high-quality free Bootstrap landing page templates made with HTML5 and CSS3. For more top-grade responsive templates, visit our blog. Sadiq, can you assist me in making 3 landing pages that are industry specific and are meant to gather quality leads that I will resell? Yeah sure. Our project manager will contact you through the email address you have provided. You can talk in details with him. Why is the ‘BackYard’ theme not available anymore Please? All templates very nice, really helpful! You’re welcome, Ann. Happy to know that you loved them.